Pastor Barry Stagner is a native of Southern California and was saved during the Jesus Movement of the late 60’s and early 70’s. Barry is the founding and Sr. Pastor of Calvary Chapel Tustin and featured speaker on the nationally broadcast radio program “The Truth about God” and is also host of the internationally broadcast TV program “World News Briefing” on "HisChannel.com". He also is the host of "News Break Daily". Pastor Barry has been defending freedom in America for many years and has been hosting the Eagle Forum State Conference and David Hocking’s Prophecy Conference. 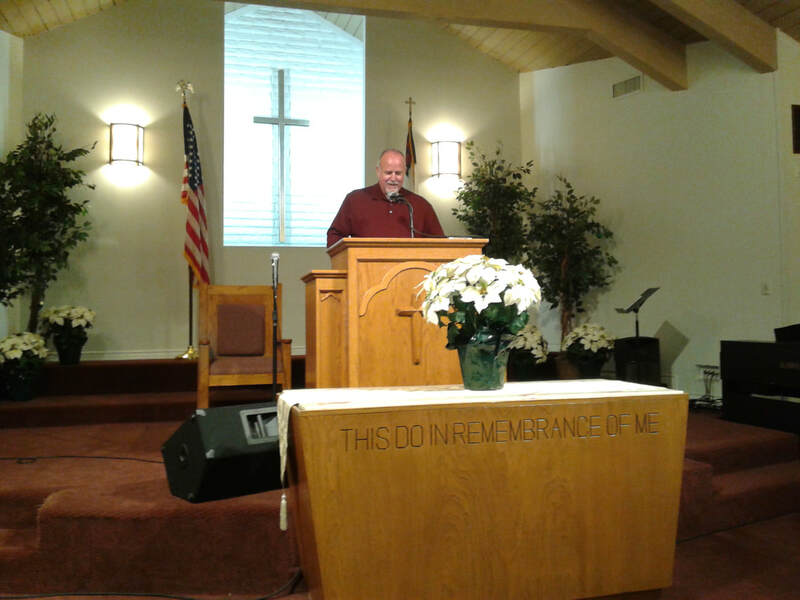 Pastor Barry spoke on the fulfillment of prophecy regarding immorality and government as spoken by Jesus in Matthew Chapter 24 as well as his latest book is “Dancing With The Scars: Finding hope when life hurts.” He has also written Happily ... Even After on marriage and written the daily devotional book Body Builders. Pastor Barry Stagner spoke about the fulfillment of prophecy regarding immorality and government as spoken by Jesus in Matthew Chapter 24.